It was the love that got me. Ironically, I wasn’t prepared for it. 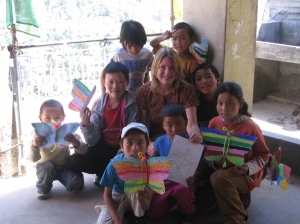 I landed my volunteer job as an Assistant Art Therapist with Art Refuge more than a year before I actually arrived in Dharamsala, India to begin. To get the coveted position, I had to fill out an extensive application form, write copious answers to numerous essay questions, supply several references and have a long-distance telephone interview with the volunteer coordinator, located in the U.K. It was a long process! Then, on my birthday in March I got the news – I was accepted, and scheduled to start the following April. I felt elated, both because I had a wonderful adventure to look forward to and because I felt honoured: I would be working alongside program manager Ama Adhe to help newly arrived Tibetan refugee children acclimatize to their home in India. Ama Adhe is a hero to Tibetan people. She survived 27 years in a Chinese prison for helping Tibetan freedom fighters and, after escaping from Tibet on her release, traveled with the Dalai Lama, speaking up about her ordeal, and on behalf of Tibet’s struggle, at every opportunity. She also wrote an inspiring book called The Voice That Remembers. 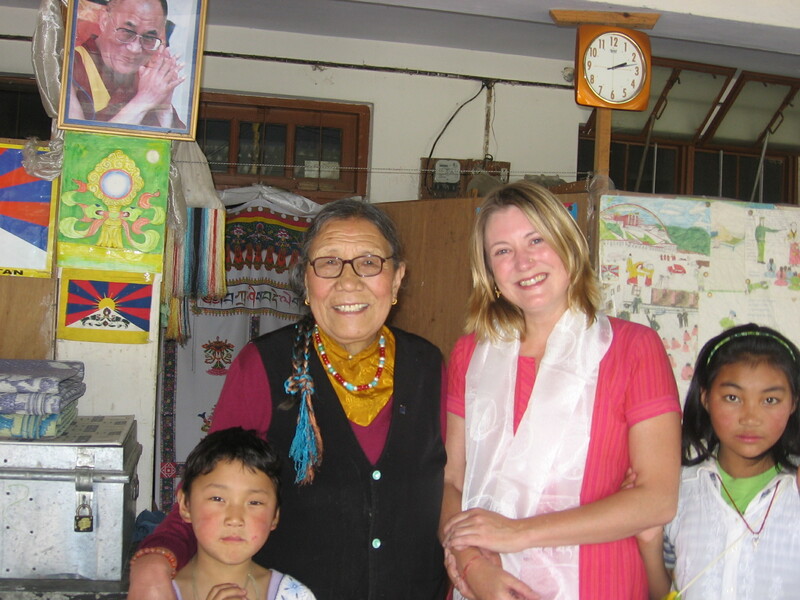 From her home on the rooftop of the Tibetan refugee reception centre in Dharamsala, she runs the Art Refuge program for children. Her warm, compassionate and feisty spirit was never broken; not even dented. I was (and remain) in awe. So, I had a year to prepare myself for this prestigious assignment. I talked to teachers and children’s therapists, read books, copied lesson plans and brainstormed ideas for art therapy games and exercises. I was a trained Gestalt Therapist, a creative person (writer), yoga teacher and former art student, but I had never worked with children. I was nervous. Would the children like me? Would I know what to do? 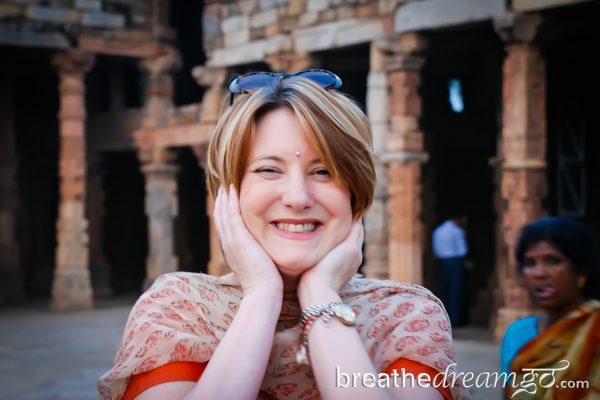 What if a difficult emotional situation arose, would I handle it well? Finally, the day came when I was to report in at the Tibetan reception centre in Dharamsala. I laboriously climbed the four flights of stairs to the rooftop. I had been sick and was also unused to the thin air at this altitude – Dharmasala is several thousand feet above sea level, high up on a mountain in the foothills of the Himalayas in north India. It was a hard climb, past cavernous, bleak dormitory rooms, towards the unknown. When I got to the rooftop terrace, I sat down, winded. Immediately, two tiny Tibetan girls, sisters, ran towards me, jumped on me and started hugging and kissing me. They spent the entire morning draped over me, allowing love to flow openly, generously and completely. I had prepared myself for difficulty, not for love. In the face of this outpouring, I simply melted. And by softening, I knew what to do. I spent the next month, each morning and afternoon at the reception centre, playing with the children, loving them, allowing them to love me and just being there for them. It was love they needed – not art, not therapy. They had been ripped from their homes and families in Chinese-occupied Tibet, and sent to live in exile, in India, in hopes of a better life – a life where they would get an education, opportunity and the chance to openly live their Tibetan culture and religion. But first, they needed love to set them right. The children seem shell-shocked and unwell, when they first arrive in Dharamsala. They often have bad colds and skin sores. And it’s no wonder. To escape from Tibet, they have to walk for many days through vast mountain passes, facing cold, starvation and gun fire from armed border guards. 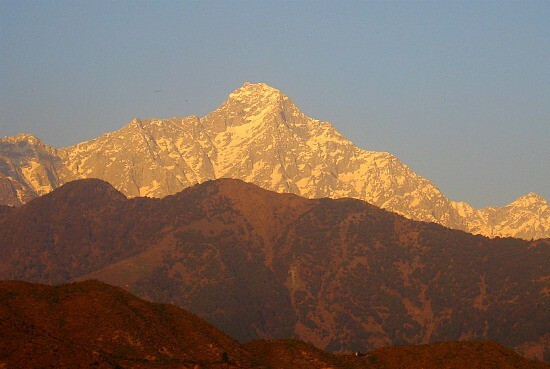 They arrive first in Kathmandu, Nepal; and from Kathmandu, they are sent to Dharmasala. When I started volunteering at Art Refuge, there were about 20 children in the program. 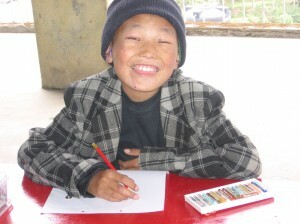 I remember one boy, about 12 years old, who seemed vague and a little angry – a rare emotion among peace-loving Tibetans. His skin was red, sore and peeling from the change in climate and he was sick. He didn’t really engage in any of the activities and seemed to lack confidence. I felt worried about him, but one day Lhamo and I sat with him and helped him to write his story. 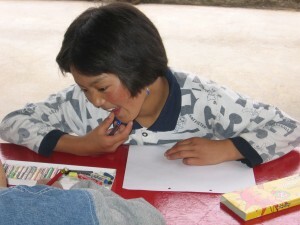 Lhamo is a young Tibetan woman who helps run the program and acts as translator between the children and the volunteers. On the back of a drawing he had done, we helped him write about his family, his journey and his feelings. In the days afterwards I noticed that he began to smile, to play and to enjoy himself for the first. By the time I left at the end of the month, he seemed like a normal boy, and was ready to go to school at the Tibetan Children’s Village on the outskirts of Dharamsala. He just needed someone who cared enough to hear him. He needed to feel loved. We tried to do this with all the children who arrived from Kathmandu. To be able to express themselves freely, with love and support, helps them to emotionally adjust, and gets them ready for school, the next step. That’s the mandate of the Art Refuge program, and it works. While I was there, it was butterfly season in Dharamsala. Suddenly, the fresh mountain air filled with all sorts of butterflies. Hundreds of tiny white ones twirled by, like clouds, and large colourful ones floated up from the valley below. Shira, the other volunteer, and I taught all the children to make butterflies out of coloured paper and pipe cleaners. They really enjoyed themselves, and it was fun to watch them, as each decorated their butterfly in their own unique and creative way. When they went for lunch, Shira and I hung all the butterflies from the ceiling. The children’s eyes lit up with excitement when they came back and saw their butterflies dancing in the breeze. Reborn, free and happy.